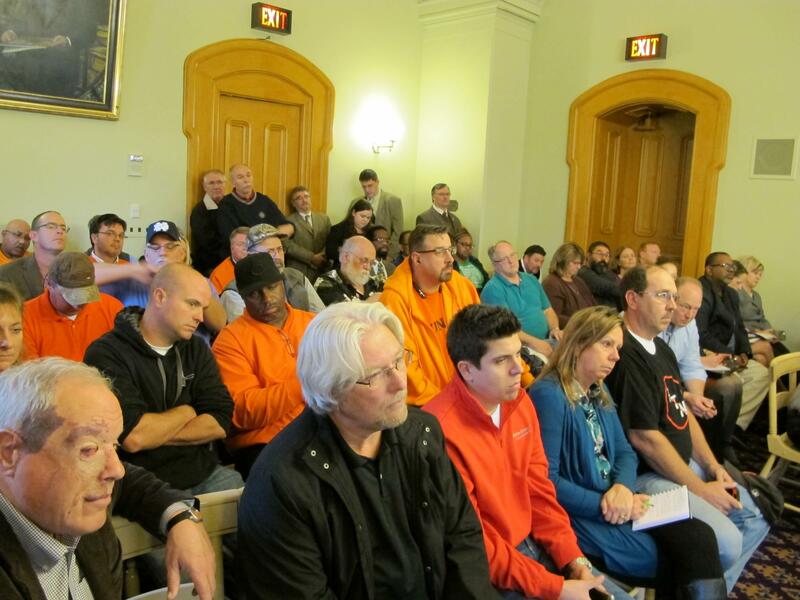 The crowd that gathered in the committee hearing room, the overflow room and Statehouse hallways was reminiscent of Senate Bill 5, the law aimed at public sector unions. Ohio voters overturned it back in 2011. 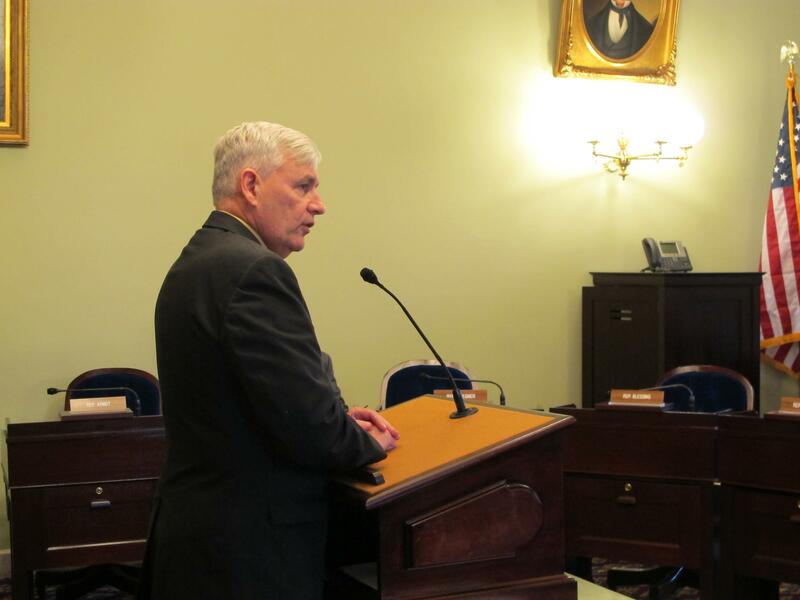 The bill Republican Rep. Tom Brinkman (R-Mount Lookout) is sponsoring would prohibit requiring employees of private companies pay union dues. Brinkman said the so-called "right to work" legislation is needed because the Buckeye State is losing private sector jobs to other states that have it. “Michigan, that instituted Right to Work about three years ago, has had larger private sector job growth than Ohio has and this is all good for working families because that gives them more opportunity to get jobs,” Brinkman said. He said the bill is not only good for job development in Ohio. He also contends workers in "right to work" states earn higher wages. But that's something opponents dispute. Brinkman said many union members get what he calls “shoddy service”. He said there’s no reason Ohioans who do not want to join unions should be required to pay the fair share amount they currently do under Ohio law. But Democratic Rep. Michele LePore-Hagan (D-Youngstown) told Brinkman there’s a big difference between paying dues to the YMCA and a union. “If you are a member of the Y or the Chamber of Commerce, you receive goods from that organization. But if you want to be a member and say, “I don’t want to pay my membership fee anymore but you have to keep giving me free access, free parking, let me go to the pool, whatever it is”, that is what you are asking the unions to do,” LePore-Hagan said. LePore-Hagan said it is unfair to allow non-union employees to benefit from the union-negotiated wages, benefits and working conditions without having to pay something to the unions in exchange for bargaining for those. Gov. John Kasich has said "right to work" is not a priority item for him right now. Democratic Rep. Alicia Reece (D-Cincinnati) noted that and asked why, given that fact, Brinkman is bringing it up now. Union members in the committee room and in the overflow room down the hall erupted into applause, and were warned to be quiet or they'd be ordered to leave. 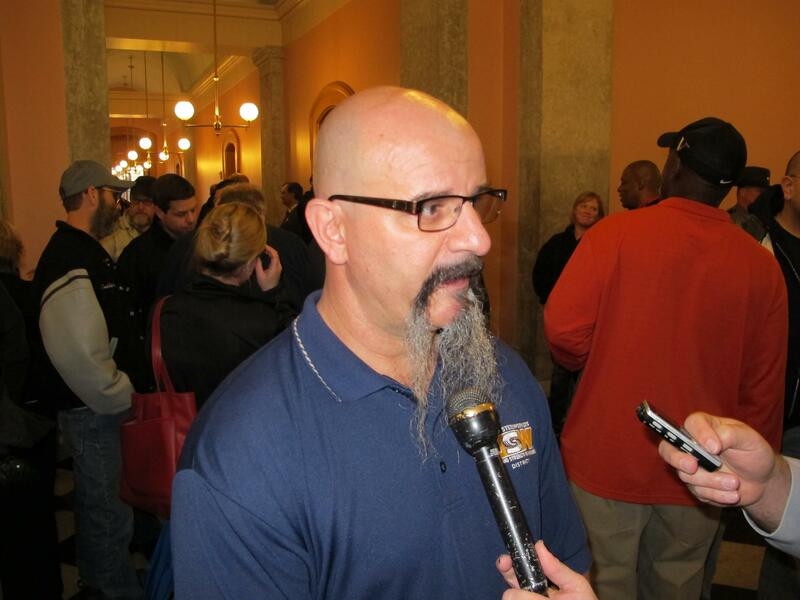 After the hearing, Spencer Terrell, local union president for United Steelworkers local 4708 in Columbus, promised to fight Brinkman’s bill. “It makes a less safe workplace, it makes us poorer," Terrell said. This hearing was the first for this plan. And it’s not clear whether it will get additional hearings soon. But as Brinkman pointed out, other governors who said Right to Work wasn’t on their agenda ended up signing the legislation into law when their legislatures passed it. So he said he plans on continuing the push to pass this bill, regardless of whether Kasich and other legislative leaders are receptive to it right now.